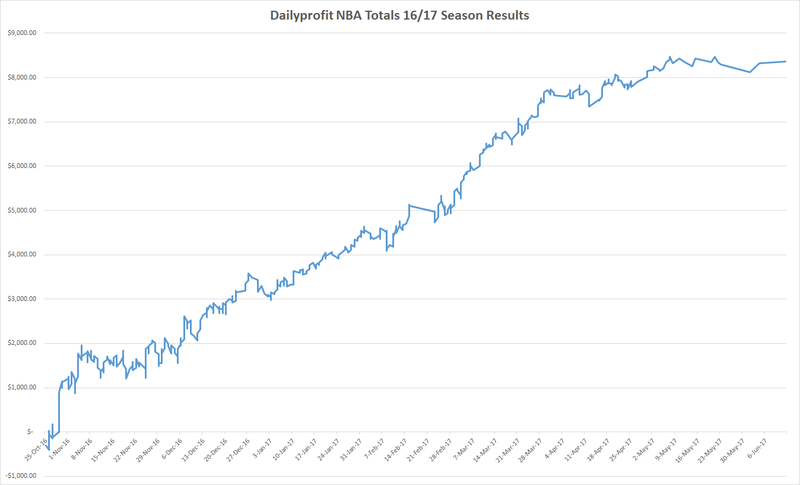 What a season it has been for the Dailyprofit NBA model. A 7% return on investment over 906 bets. We advise members to have a 40 unit bank and a 1 unit bet is recorded as $100 in our results spreadsheet (which is updated weekly on our site). We also only record odds from 3 bookmakers (Pinnacle, 5Dimes & Betcris) and 90% of those bets are recorded at Pinnacle prices. Our members have access to many more bookmakers and easily beat the recorded prices. As you can see from the results, the H2H bets did poorly with a loss of $2,346.27 at a -6.5% ROI. We advised 395 bets over the season and hit 44.1% of them. The graph below shows the H2H results. One thing to notice is how poorly we went in the playoffs. The playoffs started on the 15th of April and we could barely find a winner. This was the first season we had advised H2H bets and we will see how they do in the 17/18 season before making a final decision on them. On the other hand, the Totals (under/Over) betting could not lose all season long. We bet a total of $50,160.00 for a profit of $8,363.55 at an incredible 16.7% ROI over 511 bets. 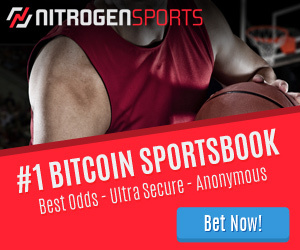 We hit 59.7% of our bets. Both models combined produced a profit of $6,017.28 at a 7% ROI. That is a 150% return on your starting bank. 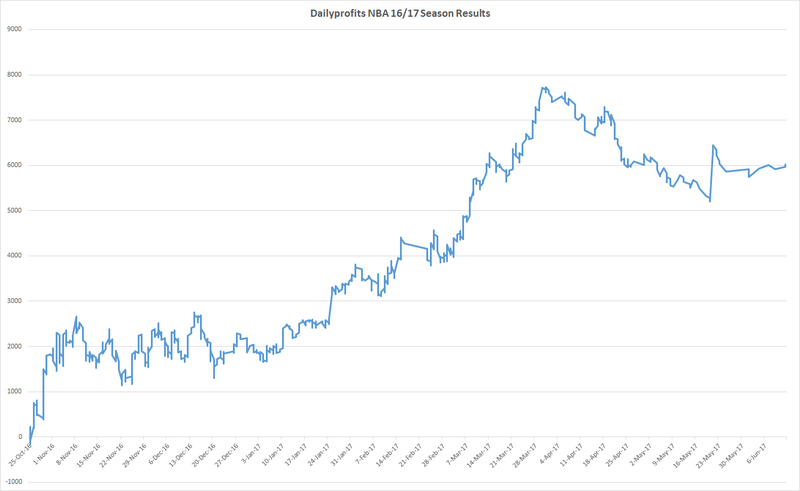 Over the years as we have continued to make our members a profit, their banks have increased and those that used a $10,000.00 bank this year would have made $15,000.00 profit on the NBA. 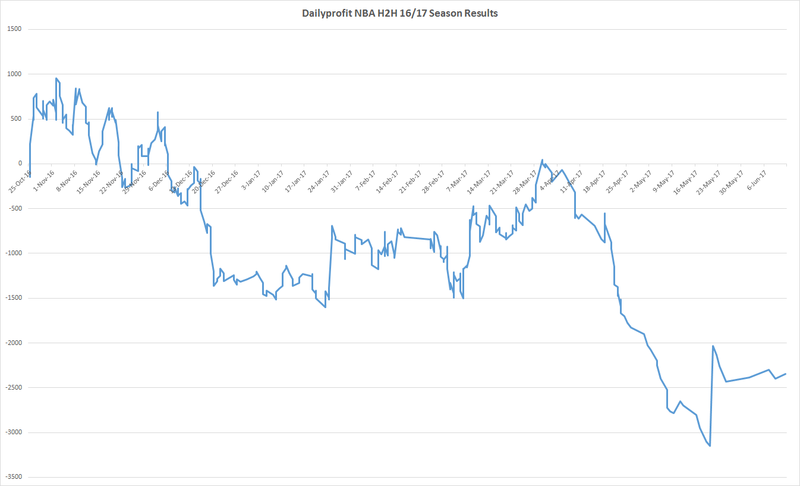 While the NBA season is now over, the AFL and NRL models are still going strong and the NFL model will start again in a few months. So far this season the NRL model is sitting on $3,626.74 profit at a 17.9% ROI and the AFL model sits on $3,498.44 profit at a 17.2% ROI. These results only use an average price instead of the best prices available in the market. The season is only half way through and the Sportpunter models only cost $98 per month or for an extra $1 you can become a VIP member and receive both the Sportpunter and Value selections. 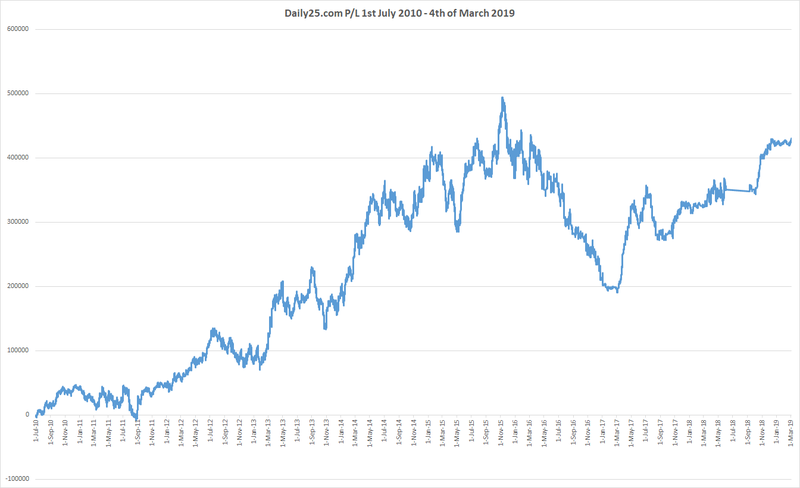 If you are ready to start making a long term profit from your betting, there is no better bet than Dailyprofit.